Introduced on July 4th, 1859. 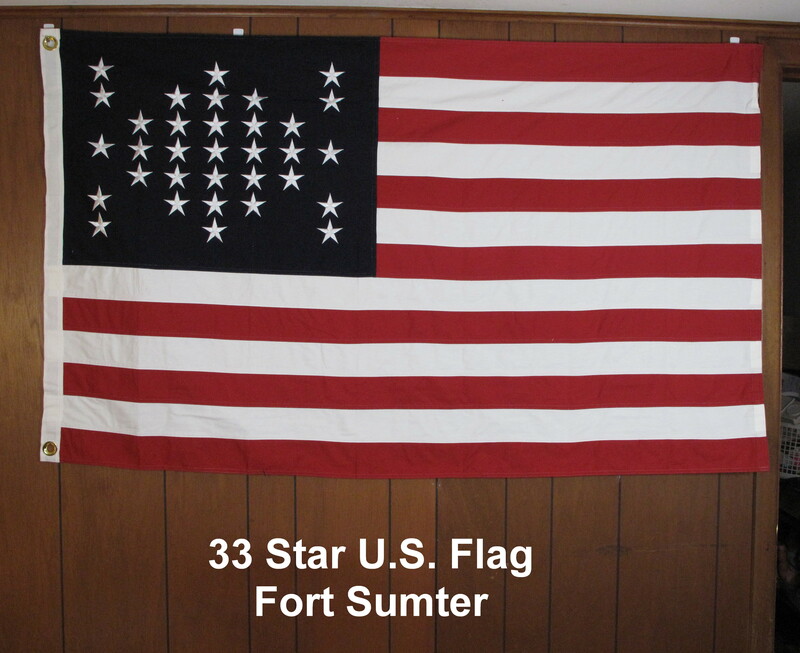 James Buchanan & Abraham Lincoln served as president during this flags history. Replaced with 34 star flag on July 4th, 1861 when Kansas became a state. Was flying over Fort Sumter when it was fired upon to start the Civil War. 3'X5' Cotton, Cut&Sewn. Beautiful flag. Satisfaction guaranteed. 100 % refundable for 10 days upon receipt.